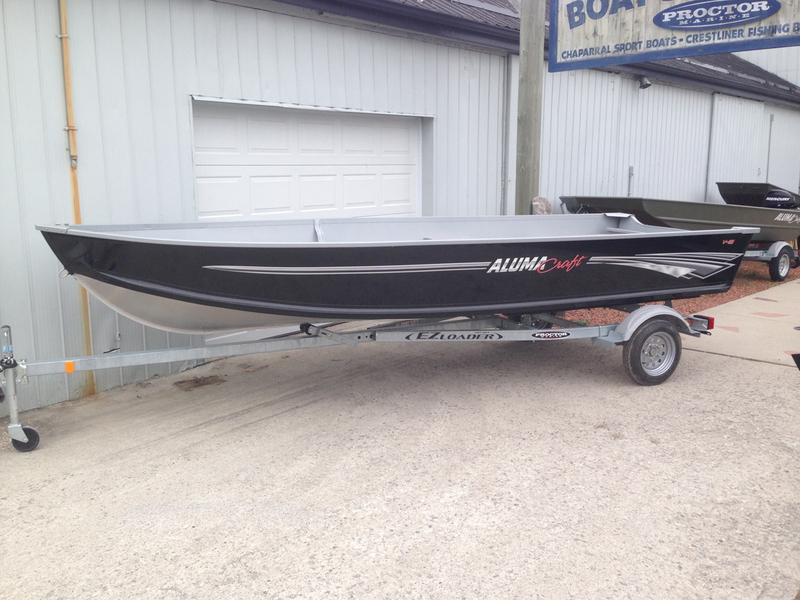 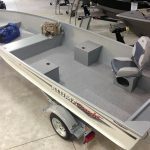 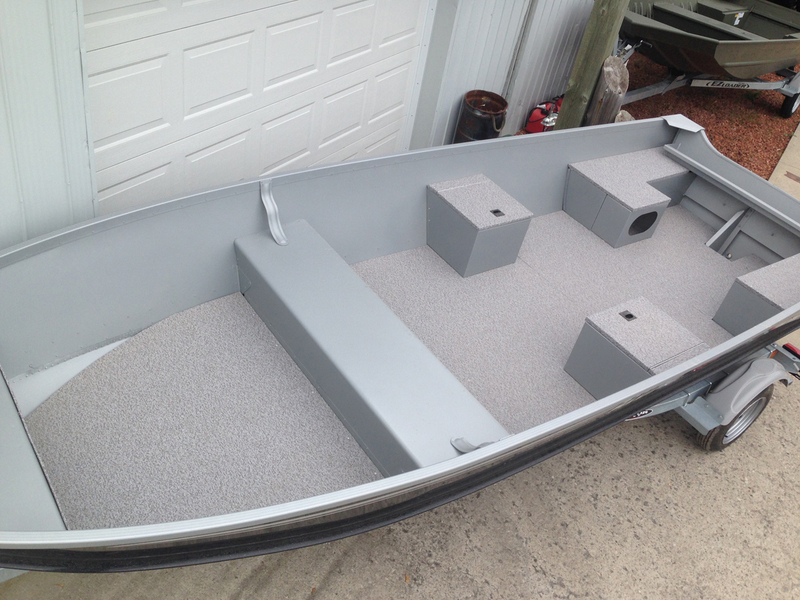 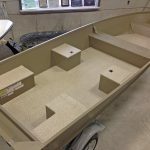 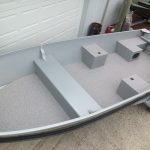 2019 Alumacraft V-16 with 20″ (long shaft) transom. 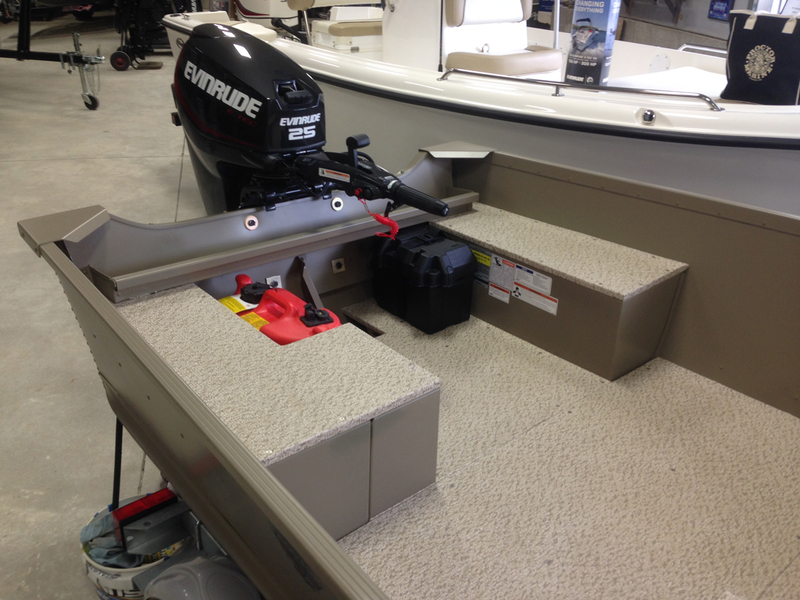 Powered by a direct fuel injected 25 hp Evinrude E-Tec with electric start and power trim & tilt. 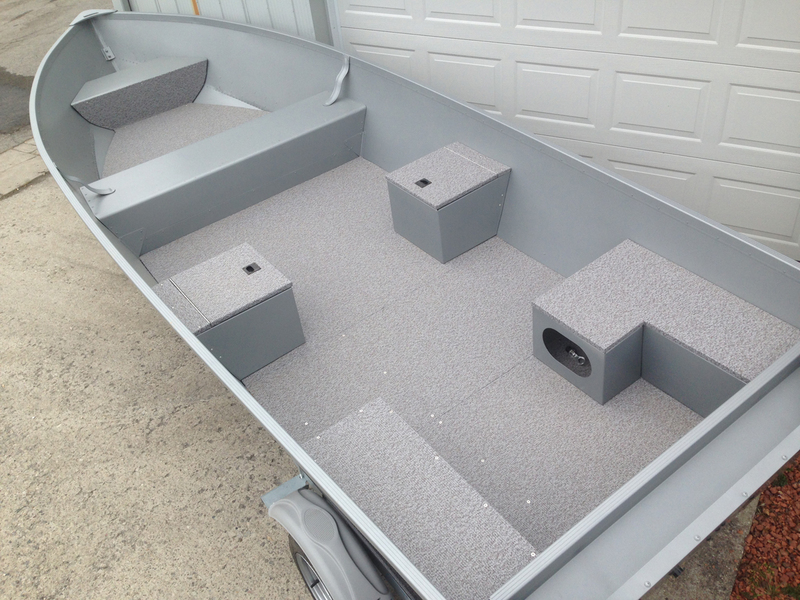 Packaged with a galvanized E-Z Loader 1,200 lb bunk trailer. 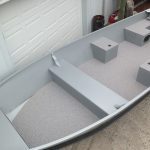 Choose from Olympic White, Black Crystal or Khaki paint colours. 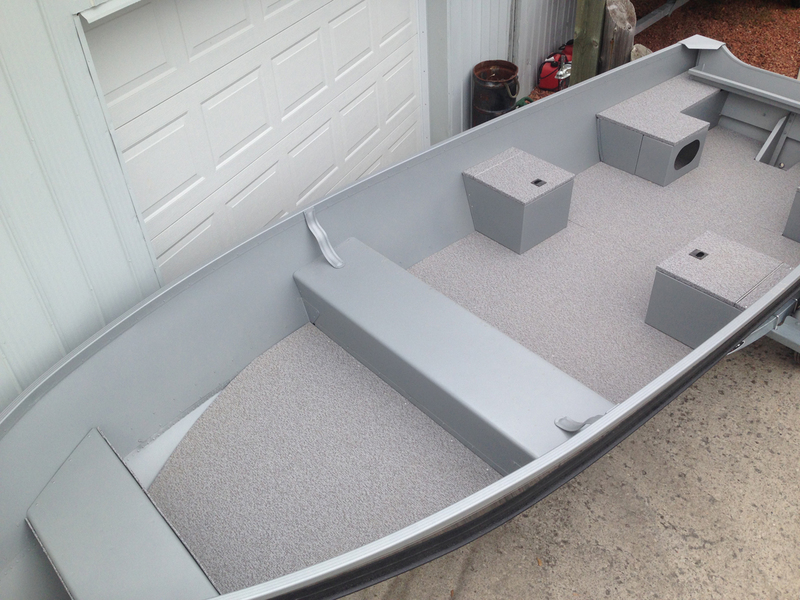 Black or white boats have a grey interior. 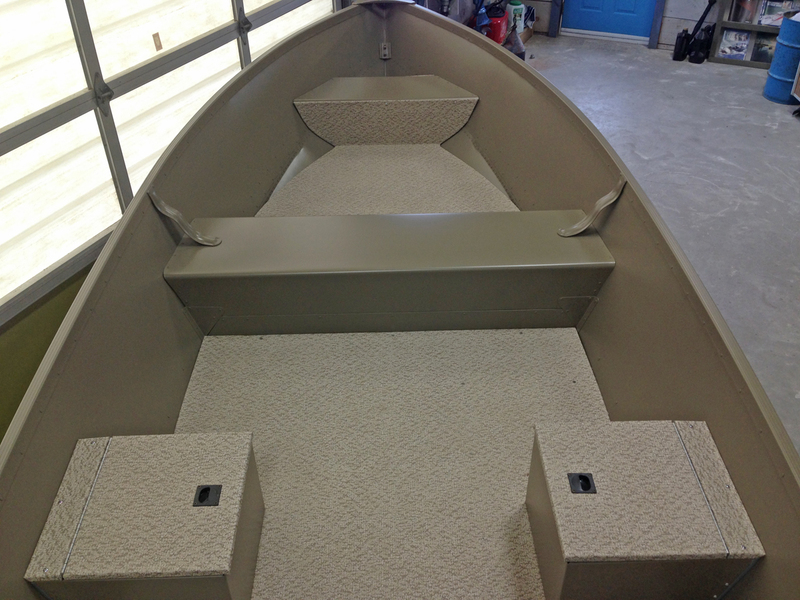 Khaki boats have a tan interior. 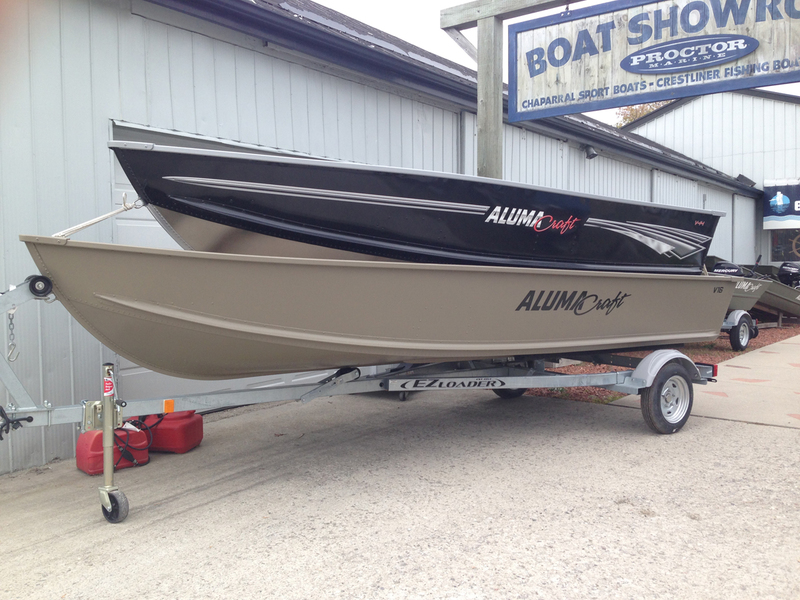 The Alumacraft V-16 just might be the perfect utility boat. 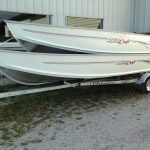 Easy to tow, you can launch the V-16 almost anywhere yet it’s large enough to carry 4 adults in comfort and is rated to safely carry 5. 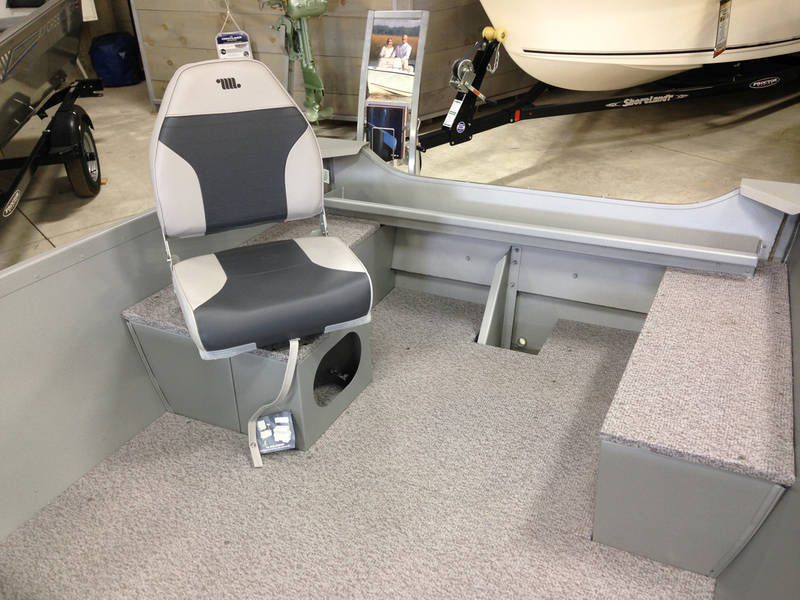 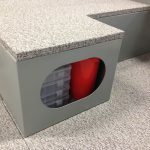 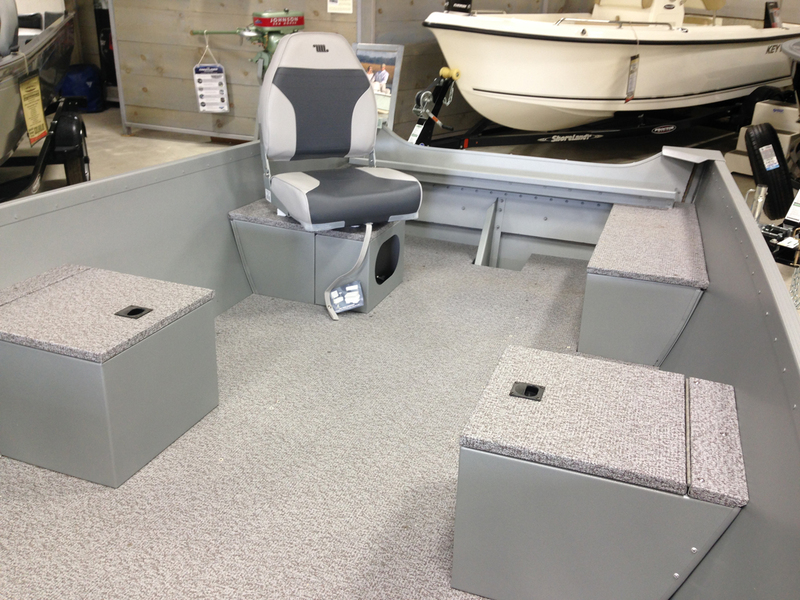 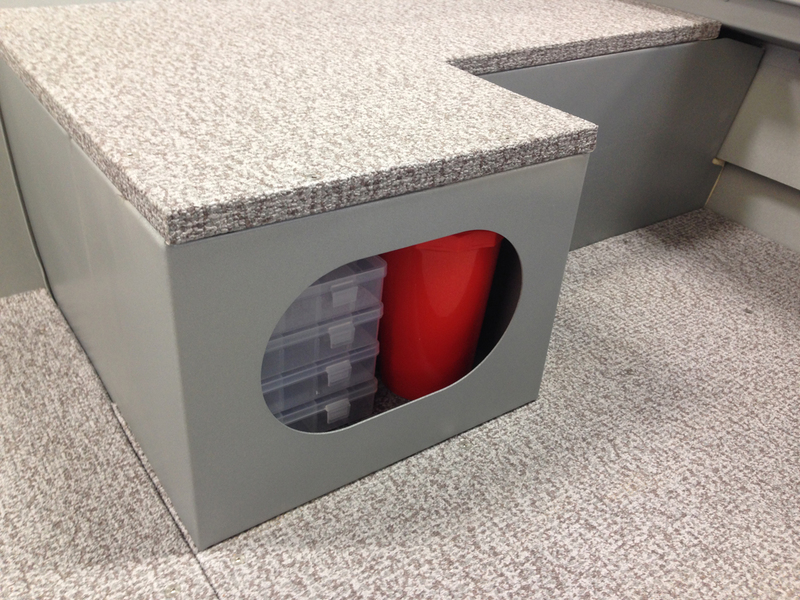 The convenience of a low maintenance vinyl covered floor keeps your feet dry and allows you to get up and move through the cockpit thanks also in part to the split bench seats. 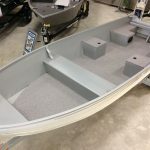 We package the Alumacraft V-16 with Evinrude’s 25 hp E-Tec. 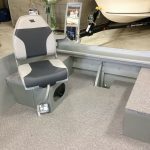 Featuring electric start, a deluxe tiller handle and power trim and tilt, the 25 hp E-Tec has all the same features of the bigger outboards and it’s a perfect match for the 16 1/2′ Alumacraft. 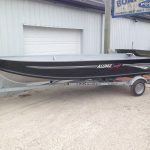 Don’t settle for an marginal or undersized trailer, our package price includes a 1,200 lb E-Z Loader bunk trailer with a tongue jack and trailer tie down straps. 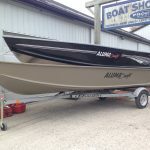 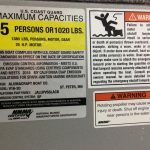 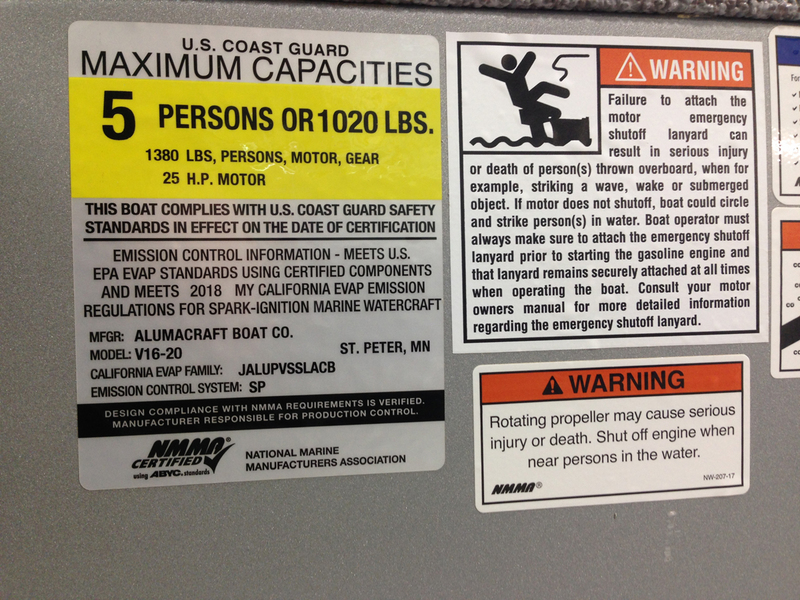 Other notable items include a heavy duty marine battery and battery box as well as a 5 gallon fuel tank with fuel line. 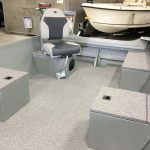 We also include freight charges, dealer prep fees and vessel license as well as trailer license with our utility boat packages. 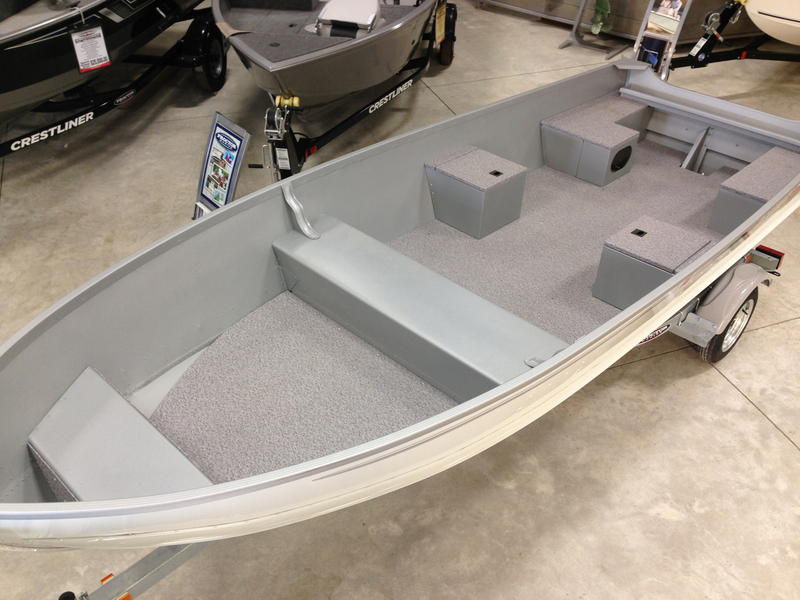 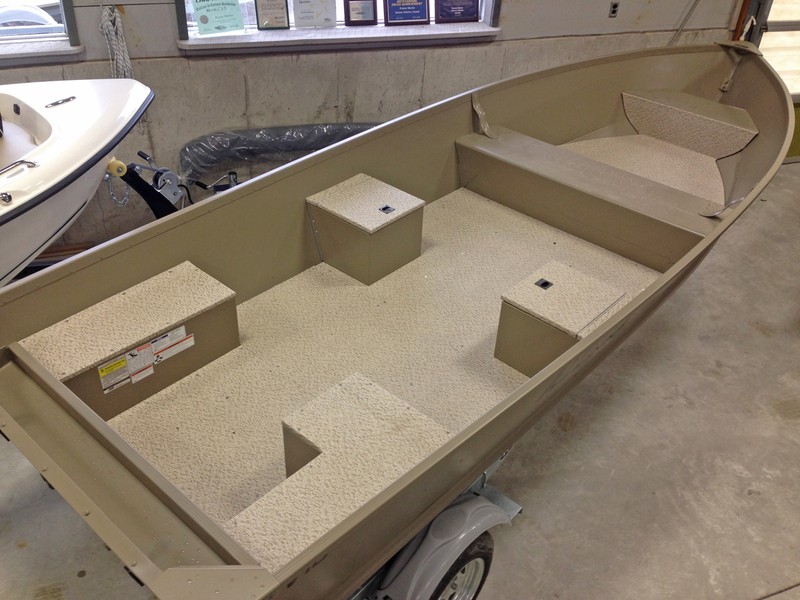 Duck hunters who prefer a traditional V-bottom aluminum boat will love the Alumacraft V-16 with optional Khaki paint! 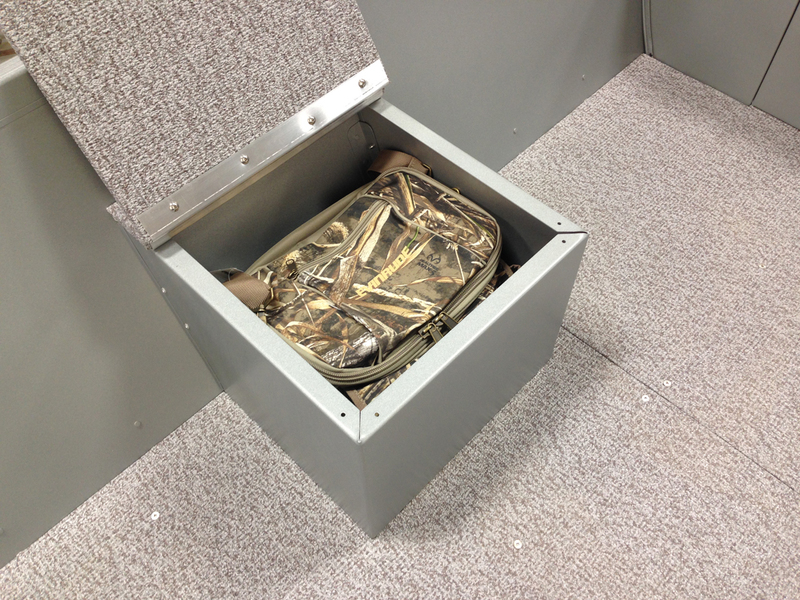 The low luster khaki paint with black logos will hide easily in the marsh. 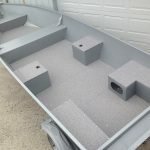 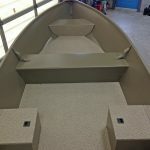 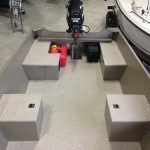 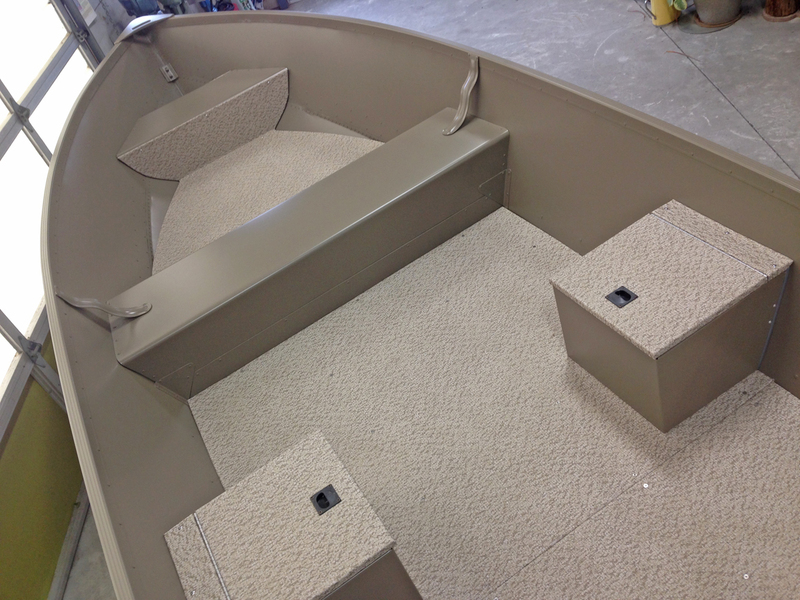 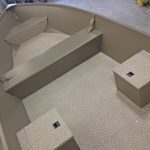 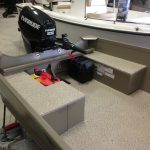 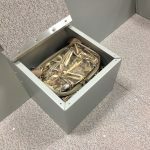 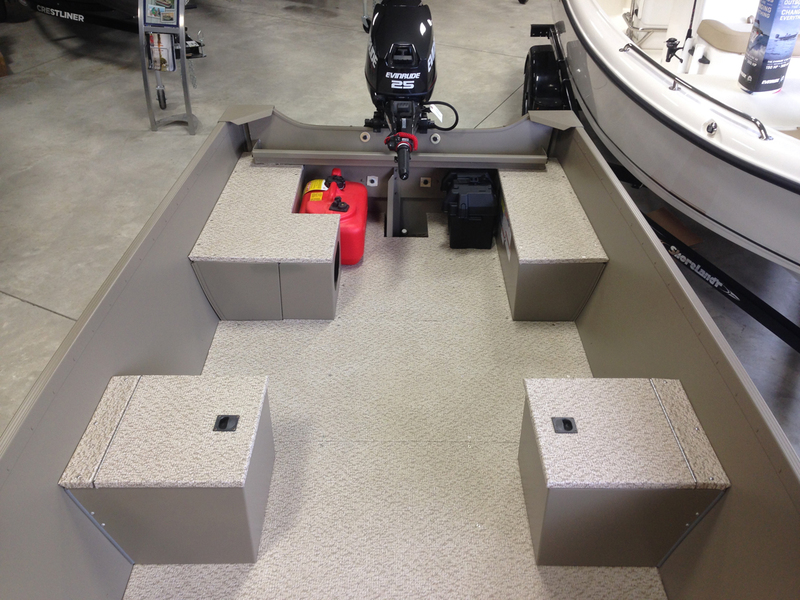 The vinyl covered plywood floor is also quieter than the aluminum floor found in many mod-V Jon boats and the floorplan is open straight up the center making the boat well suited for a duck blind too. 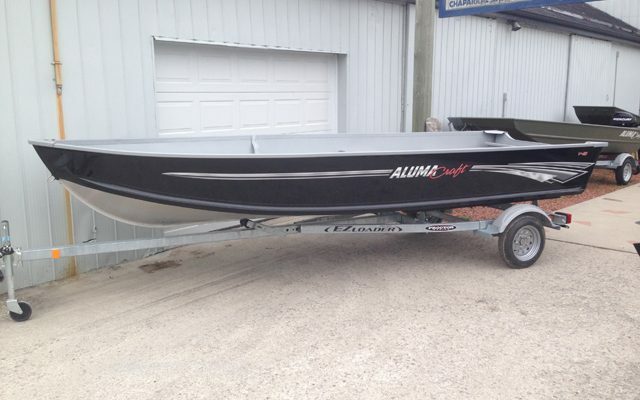 Looking for just the boat? 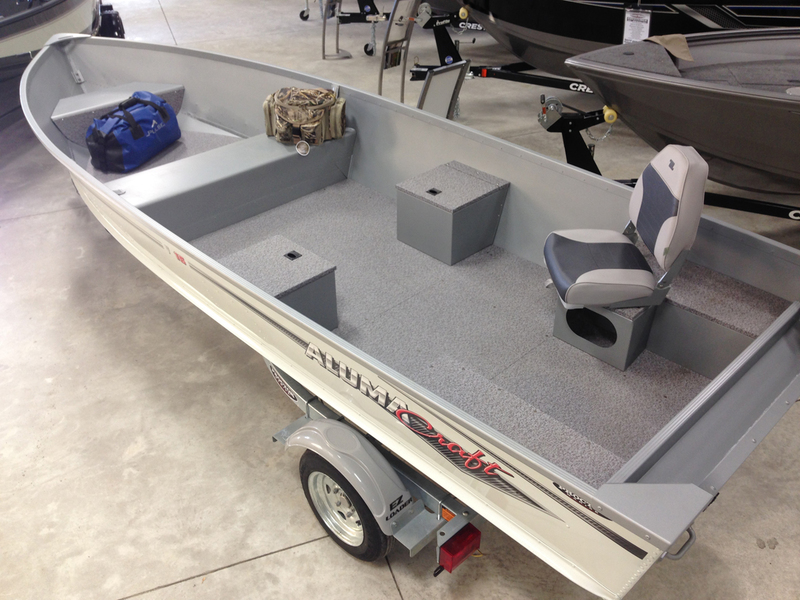 We offer the Alumacraft V-16 for $5,999.00 including inbound freight. 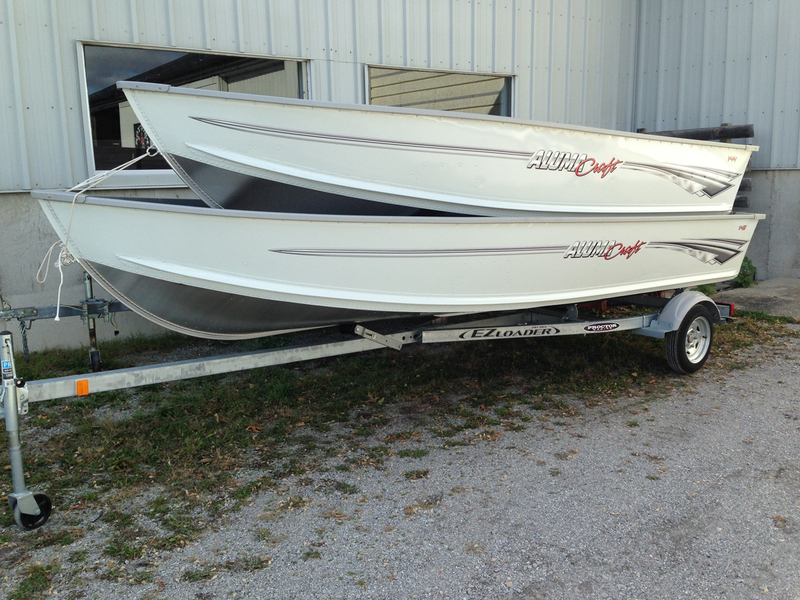 You will need a long shaft outboard motor, we recommend a 20 to 25 hp outboard.